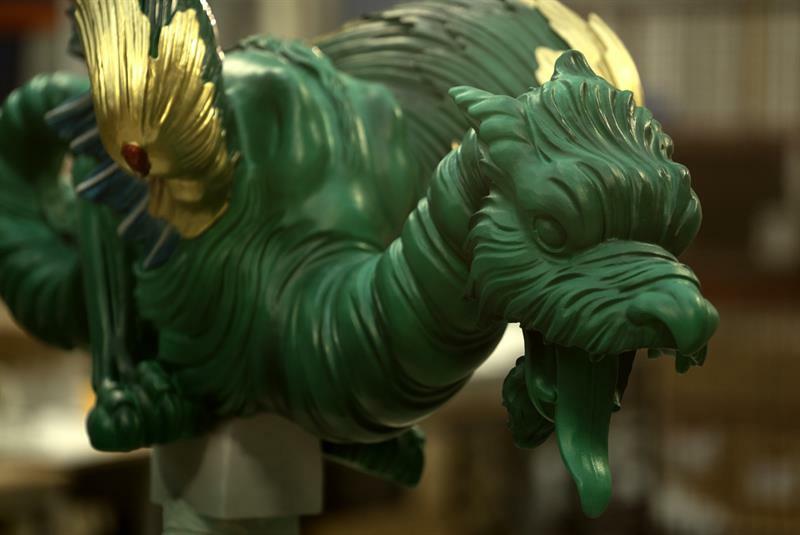 3D Systems have completed the installation of 72 large-scale 3D printed dragons at the 250-year-old Great Pagoda at Kew Gardens – the final elements required to complete the restoration of the UNESCO World Heritage site. The Great Pagoda at Kew was commissioned in 1761 in the midst of the reign of King George III. In the years following the Pagoda’s unveiling, it drew crowds who came to marvel at its exotic and eye-catching details – including the painted wooden dragons that adorned the octagonal corners of each successive level. In the 1780s, the dragons were removed to accommodate roof repairs and were never replaced. Although rumors allege the dragons served as payment for royal gambling debts, experts believe the wood had simply rotted over time. As Historic Royal Palaces (HRP), the building’s owners, began the restoration project, it needed a way to replace the large dragons that once adorned the building but were lost to history. HRP required a solution that would authentically replicate the dragons, yet could withstand the famously inclement English weather. 3D Systems’ On Demand Manufacturing team, based in High Wycombe, delivered the lightweight, durable dragons using a scan-to-CAD workflow featuring Geomagic® software, Selective Laser Sintering (SLS) 3D printing and high quality finishing. These technologies, combined with the expertise 3D Systems’ team demonstrated through many hours of front-end engineering and back-end finishing, made this effort manageable, efficient and cost-effective. 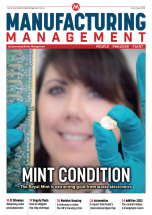 Bringing the dragons back to life required a unique combination of research and reverse engineering by the company’s On Demand Manufacturing team to enable rapid digital production of the parts. The project involved scanning a wood-carved dragon with the FARO® Design ScanArm into 3D Systems’ Geomagic® Design X reverse engineering software. The use of CAD enabled, innovative engineering solutions for the dragons, including hidden features to facilitate mounting them to the pagoda as well as a much lighter-weight, hollowed statue that is 60% lighter than wood alternatives. The significant weight reduction enabled by 3D printing ensures less stress is placed on this historic building, helping to preserve it for the future. The 3D Systems’ team also used the CAD data to scale the dragons, producing them in a variety of sizes from 1150mm to 1850mm in length. The dragons were printed on 3D Systems’ SLS machines in DuraForm® PA, a durable polyamide 12 nylon material capable of producing a look and feel comparable to the original dragons. The resolution and mechanical properties of DuraForm PA make it an ideal candidate for complex parts with thin walls or snap fit requirements. In the case of the Kew dragons, these features suited both the functionality requirement of installation as well as the cosmetic requirements of the historic restoration. The 3D printed dragons were finished by 3D Systems’ skilled artisans who hand-painted each piece.